Experts help explain the dark web by comparing the Internet to the ocean. On the surface, there is light and this is where most people engage. It’s where we use Google, Yahoo, and other search engines, where people communicate via all the social media sites like Facebook, Twitter, Instagram, etc. and where people shop like Amazon, etc. The deep web, which is often confused with the dark web, is where corporate intranets and government websites that are password protected and require log-ins exist—it’s dark because it is only visible to those who need to use it, like employees and government officials. The dark web, however, goes even deeper, only visible to those who have TOR (the Onion Router), a software that was developed by the U.S. Navy in the 1990s to help intelligence agents overseas communicate anonymously with colleagues in the US. TOR sends transmissions anonymously to multiple servers around the world to disguise the sender. The dark web presents a risk to everyone for numerous reasons, not the least of which is its ability to remain hidden and allow those engaging there to remain hidden as well. On the dark web, criminals buy and sell many things, including people’s private information, guns, drugs and much more. 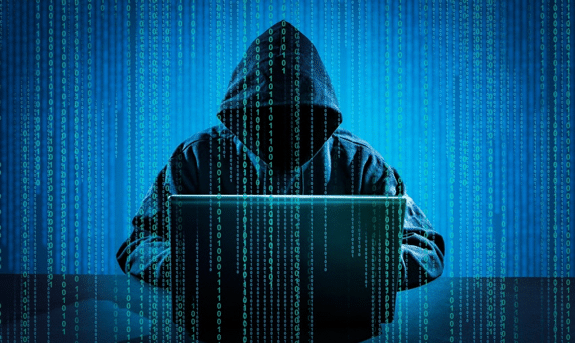 For those who wish to protect their identities from thieves, it’s crucial to be aware of the dark web and understand how crooks use personally identifiable information to make many hundreds of thousands of dollars—essentially they are in the business of buying and selling id info like names, social security numbers, maiden names, birthdates, credit card numbers, bank account, and mortgage account numbers and much more. Think of it as an ID theft business. For many crooks engaging on the dark web, your confidential information is a product, they don’t necessarily hack your bank account or credit card, instead, they sell your information and everyone else’s they’ve stolen to clients. Those clients then do the hacking, open up credit cards or get loans in your name, etc.—many times months before you even realize you’ve been hacked. The moment you learn of a breach, call all credit card companies and freeze your accounts. This prevents any further theft from happening right away. Freeze your credit with all three credit-reporting agencies and let them know you’ve been hacked—when you do this, no one will be able to get credit in your name. Check your credit reports on a daily basis to make sure there are no new accounts that were not opened by you. Be sure to register for online access to all your bank accounts and loans, if possible, set up text or email alerts that will let you know if there is any new activity on your accounts. A password manager is a service that generates, retrieves and stores highly complex passwords for you for all of your accounts, as well as PINs for credit cards, and any other account security you need. This service will also notify you if there’s been a breach at any of the companies that you have accounts with. To use it, all you’ll need is one simple password that logs you into your “vault” and of course, the ability to answer security questions to prove your identity. In addition to following the steps above and being cautious when engaging online, be sure to destroy outdated documents by shredding them with a certified shredding provider. Make digital copies of records you must keep and go through your personal documents to ensure you’re not keeping items that, if stolen, can provide confidential information to a thief. Remember even your junk mail can contain personal information that unscrupulous people can use to steal your identity. Identity theft is a growing problem and one that continues to change with the advent of new technology. To ensure you don’t become a victim, give All Points Mobile Shredding a call today at 772.283.4152 to schedule your shred. Our shredding truck will come to your home or office and securely and permanently destroy your unneeded documents and devices. And to offer you peace of mind, you’ll be provided with a certificate of destruction immediately after the shredding is complete.